Since I have published excerpts from his diary, and a letter he wrote to his cousin Margaret Duff, I thought I’d put together a brief biography of my 1st cousin (4x removed) James Ritchie. James Ritchie, courtesy of Catherine Duff. James was born in the town of Bankfoot in Perthshire, Scotland on 27 Jun 1822, and baptized in the parish of Auchtergaven the same day . He was the middle child of seven children born to William Ritchie (1782-1831) and Marion “May” Duff (1792-1869), and their only son. His mother May Duff was the sister of my 3x-great-grandfather Reverend William Duff. His father William Ritchie was an “officer of excise” or an “inland reserve officer”, that is to say, he was a tax man. Death visited the Ritchie family often, unfortunately. 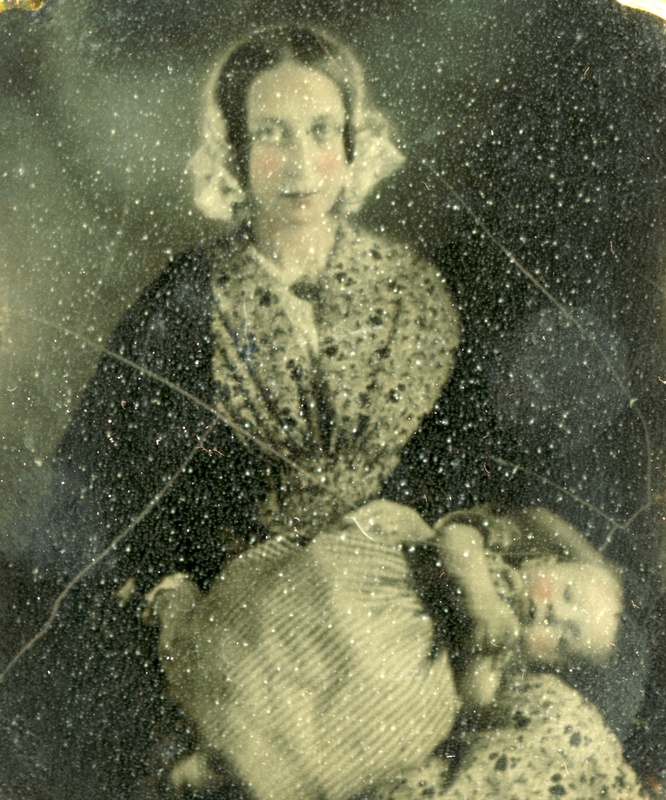 James’s sister Marjory died in 1821 as an infant, and his sister Jane died in 1825, also in infancy. In 1828 his sister Charlotte died at the age of 10 years, and another sister (also named Jane) died in 1829 at three years of age. Finally, in 1831, when James was only 9 years old, his father William Ritchie died. That left his mother May, James, and his sister Charlotte Nicoll Ritchie as the only surviving members of the family. I cannot find James in the 1841 Census for Scotland, and I’m guessing he might have been away at University as he would have been 19 years old. 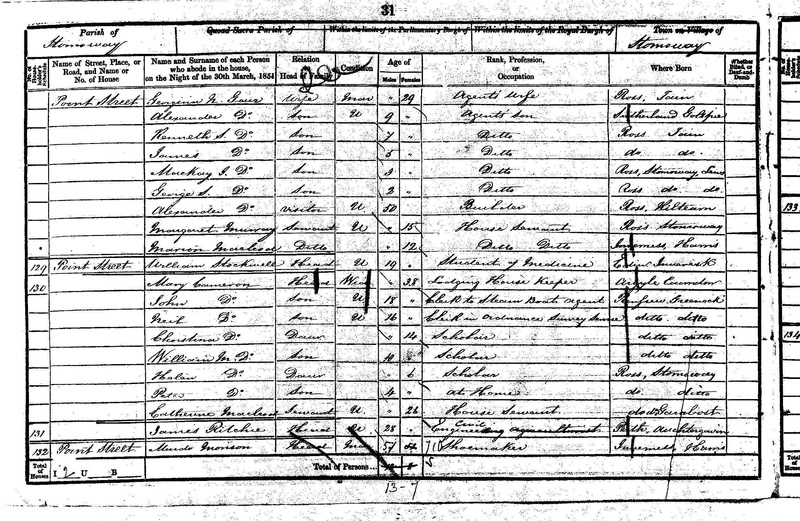 James became a Civil Engineer, and he is listed as such in the 1851 census where he is living alone at 131 Point Street in Stornoway, Ross and Cromarty, Scotland. Stornoway is on Lewis Island, to the north of Scotland, and was a part of Ross at the time. In the 1861 census he’s living with his mother and his sister Charlotte Nicoll at 3 Melville St. in Perth Burgh, Perthshire, Scotland. He is again listed as a civil engineer. In 1865 he wrote some diary entries describing his trip to Liverpool to take his nieces Isabella and Margaret Duff to begin their journey back home to Nova Scotia. They are worth a read. 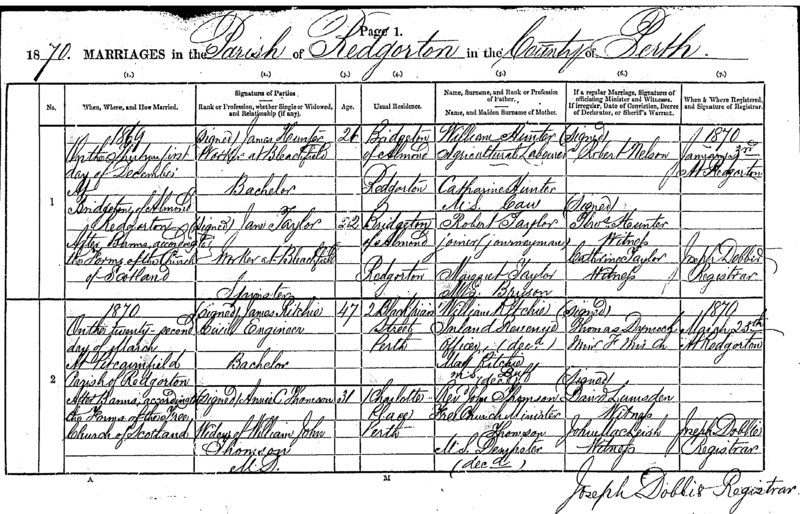 On 22 Mar 1870 James married Annie Cowan Thomson in Redgorton, Scotland. He was 47 years old. Annie had been married previously to Dr. William John Thomson in Calcutta, India when she was 22 years old. The couple ended up having four children: The first son Charles Ritchie died in infancy. His daughter, Dr. Beatrice Ritchie (1872-1962), studied at the Jex Blake School of Medicine for Women in Edinburgh and got her MD with distinction from the Université Libre de Bruxelles (Brussels) in 1893. 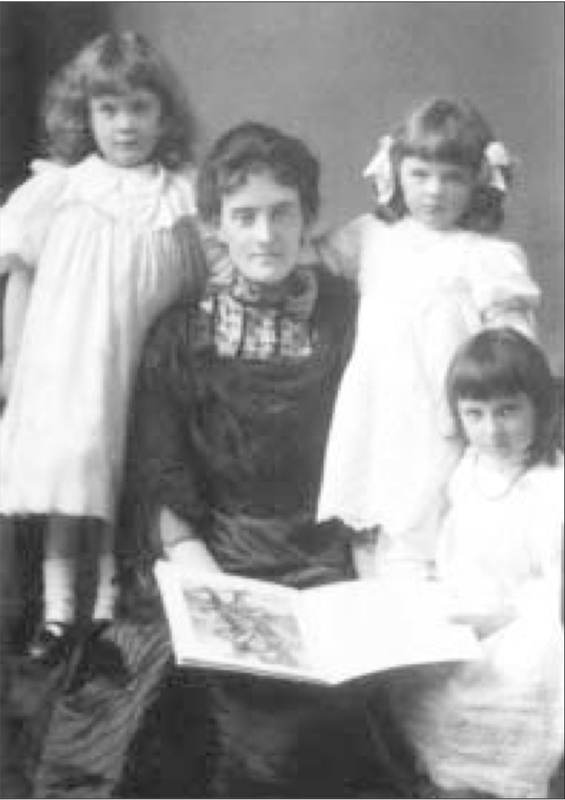 In 1895 she married her former teacher Dr. William Russell (Professor of Medicine at Edinburgh University), and had six children, four of whom were doctors [I will give brief biographies of them below]. During and after the First World War Beatrice worked for the Scottish Women’s Hospitals. 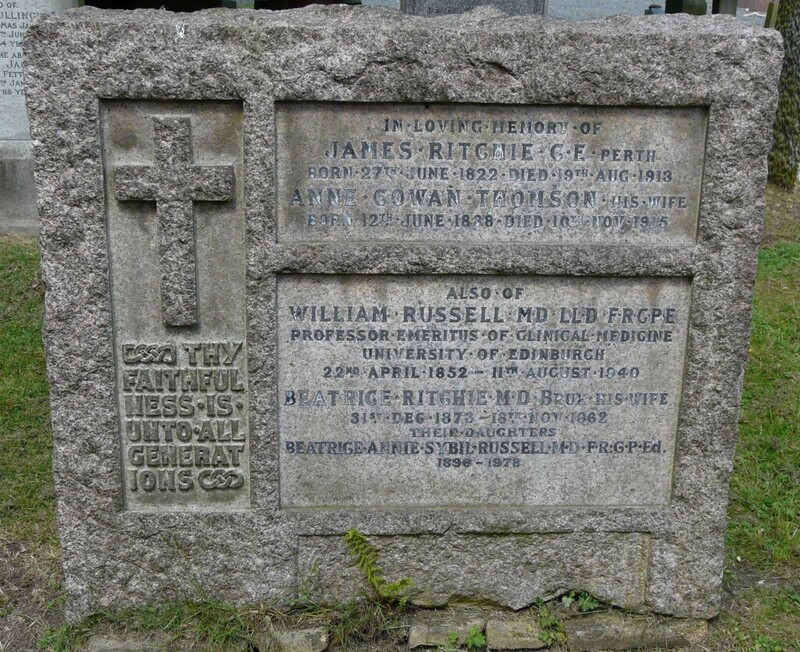 James and Annie next had a son, William Ritchie, who also became a doctor. 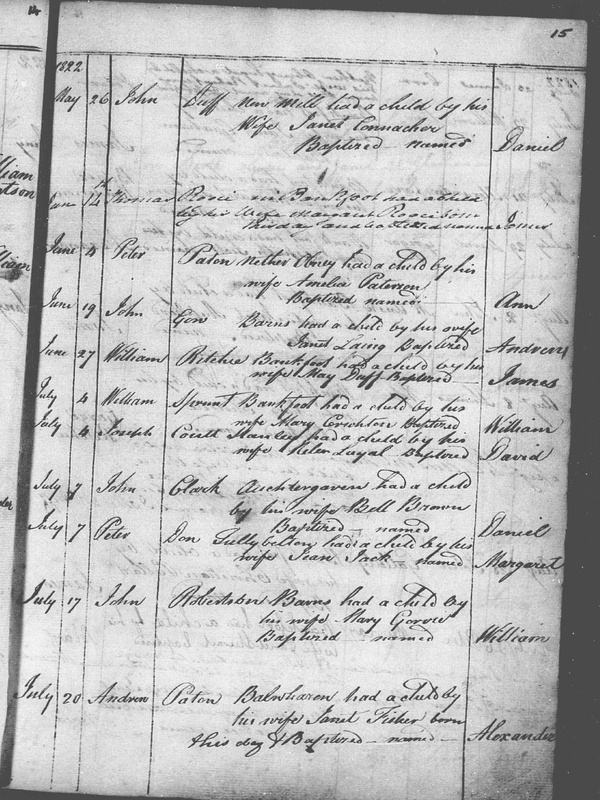 William seems to have moved to Ontario, Canada and married a woman named Annie Eliza Dane. Last came another daughter, Annie May Ritchie, who married John A. Robson, a minister’s son and a solicitor [lawyer] in Edinburgh. In the 1881 and 1891 Census, James Ritchie is listed as living at 6 Athole Place, Perth East Church, Perthshire, Scotland, and still listed as a civil engineer. In 1901 he has moved to St Ninians, Stirlingshire, Scotland. It’s just himself and his wife living there with a domestic servant. James died in Roberton, Lanarkshire, Scotland on 10 Aug 1913 at the ripe old age of 91 years. I have his probate documents in which he was described as “James Ritchie, Civil Engineer Lands Valuator, and Surveyor who resided sometime at 6 or 7 Athole Place Perth, thereafter at Birkhill Stirling, and thereafter at 10 St. James Terrace, Hillhead, Glasgow West who died at Roberton in the county of Lanark upon the 19th day of August, 1913”. James was said to have been involved in the creation of the railways running through the Scottish Highlands. Interestingly, his estate showed that he owned shares of the Illinois Central Railroad Company and the Chicago, Milwaukee & St. Paul Railway in the United States. His entire estate was valued at about £ 9,000. James was buried in Dean Cemetery in Edinburgh, Scotland with his wife, his son-in-law Dr. William Russell, his daughter Dr. Beatrice Ritchie, and his grand-daughter Dr. Beatrice Annie Sybil Russell. I think it shows the depth of his devotion to, and love for, his family. Beatrice Annie Sybil “Sybil” Russell (1986-1978) became the house physician in Northampton, then house surgeon at Bolton in Lancashire. She got her MD in 1939 from Edinburgh University. She spent about 25 years working as a consulting physician training nurses and midwives in the Gold Coast Hospitals in Africa before retiring in 1950. During that time she published papers on malaria and anaemia in Africa. Helen May Russell (1897-1987) graduated from the University of Edinburgh in 1920 and was a house surgeon at Bolton, Lancashire like her sister Sybil. She then became a resident at the Sick Children’s Hospital in Edinburgh. She was one of the first two women to ever pass the MRCPE [Member of the Royal College of Physicians of Edinburgh] exam in 1924, and one of the first two women to become a Fellow of that society in 1929. She got her MD that same year. She had a long and distinguished career which ended with her appointment as pathologist at the Manchester Christie Hospital from 1944 until her retirement in 1962. She published 28 medical papers in her career. Margaret Scott Russell (1899-1961) met a Russian named Michael Chramtschenko, who had fled from the Nijnl-Novgorod region during the Russian Revolution of 1917-1918. Michael’s father had been a General in the Russian Army and Governor of Nijnl-Novgorod, but he was killed during the revolution. Michael fought during the Revolution, then fled through Poland and Scotland to reunite with Margaret Russell. The two had met when Margaret was working in Russia with refugees. The lovers planned to be married, and Michael went to Ontario, Canada. Margaret followed. They were married there in 1924, and stayed there until Margaret’s death in 1961. The couple had no children, but Michael remarried and has living descendants from that marriage. William Ritchie “Ritchie” Russell (1903-1980) was educated at Edinburgh University where he qualified in 1926. His MD thesis earned a gold medal in 1932, and is still cited as a landmark work in the field of head trauma studies. Ritchie married Jean Stuart Low in 1932 and had two children. 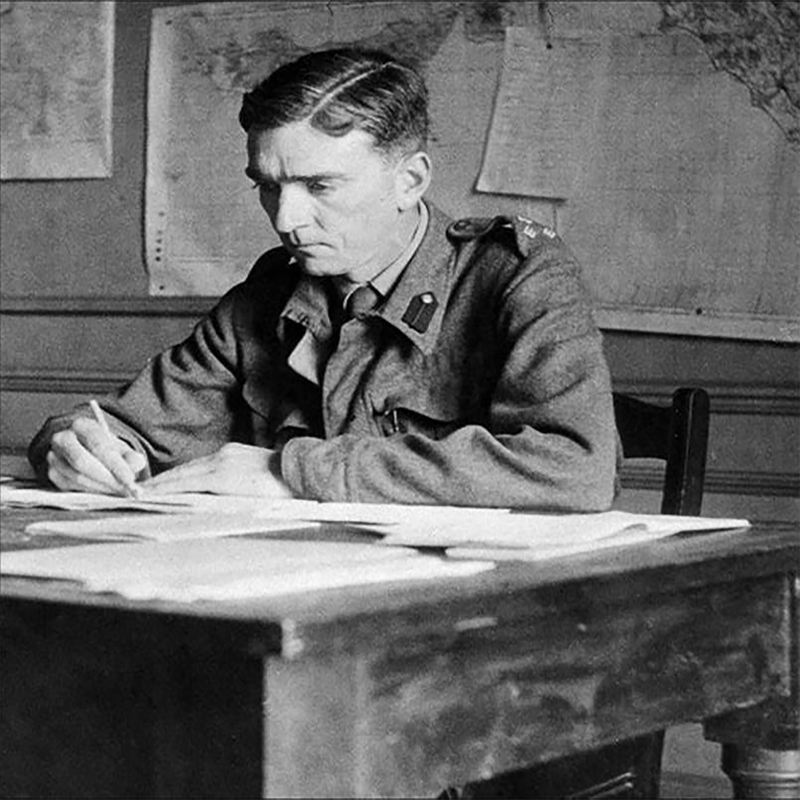 He worked in Oxford at the Military Hospital for Head Injuries during WWII. He later became the first chair of Clinical Neurology at Oxford in 1966. He established a retirement community called Ritchie Court which still exists. His son, Michael Russell is a third-generation doctor in Dorset. Photo courtesy of the Ritchie Center. 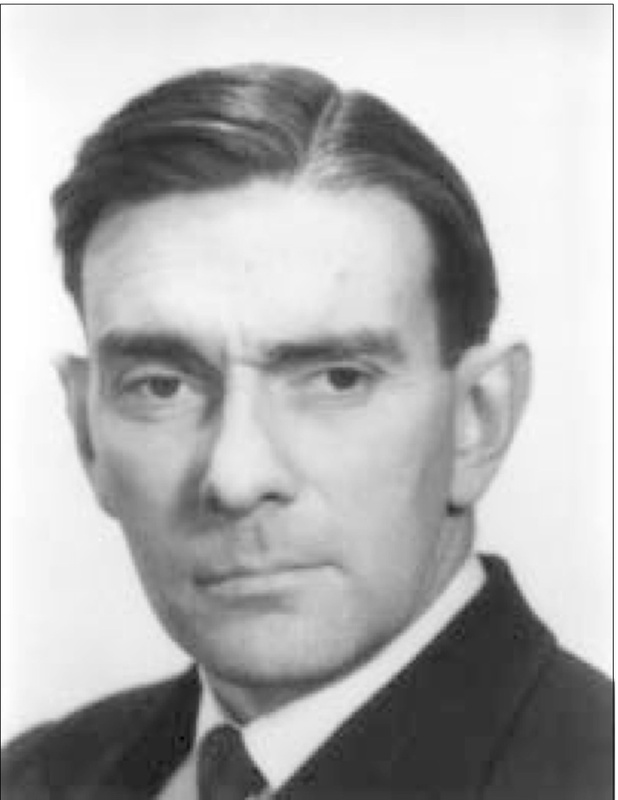 Charles Scott “Scott” Russell (1912-1971) studied at Edinburgh University and obtained his MB in 1935. 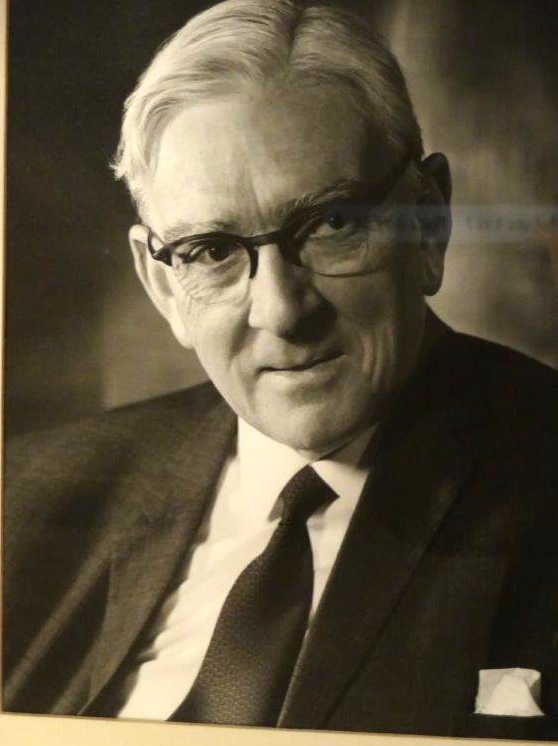 Hebecame the first professor of Obstetrics and Gynaecology at Sheffield University in 1950, was a prolific author and researcher on the subject. Scott became renowned as the man who, in 1968, proved a link between smoking and low infant weight. 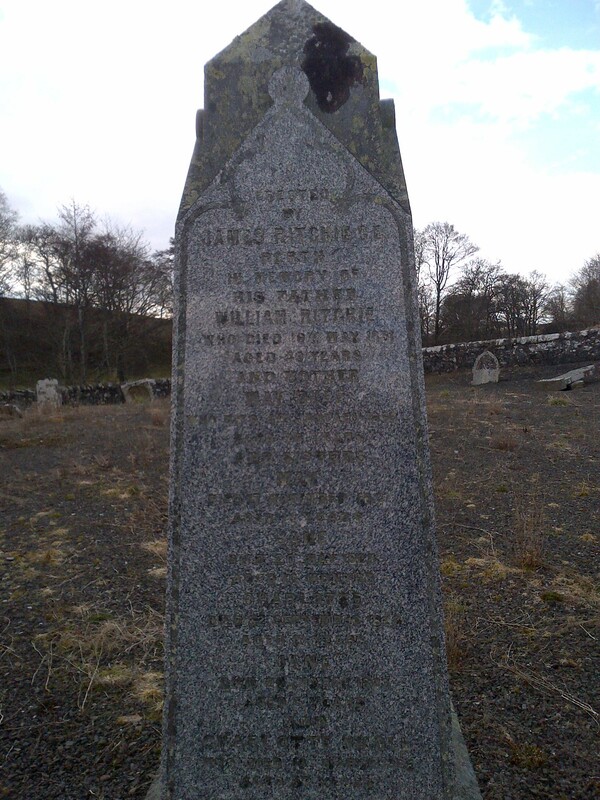 It is not an overstatement to say that the Ritchie family was a medical dynasty in Scotland. A cousin sent me this wonderful copy of a portrait that’s been in her family for many generations. It’s said to be a portrait of William Duff Sr., who was my 4x great-grandfather. I have written about William and his descendants previously: Meet the Duff Family of Perthshire, Scotland. This painting shows William in what appears to be the uniform of a British Army footman c1790-1810, around the time of the Napoleonic Wars. Another cousin from a branch of the family more closely-related to my own also has a copy of this portrait. On the back it says, “William Duff of Berry Hill, Perthshire, Scottland”. It is the same portrait as the first, but with more detail. In this one it looks like he might be standing on a ship. Portrait of William Duff, courtesy of Sean and Ann Collins. It feels almost like several copies must have been made by someone in the family who was artistically inclined and then given to various family members. My cousin Catherine found this citation which lists a “Major William Duff” among the “26th British Regiment of Foot” from 14 Feb 1786 to March 1793. Unfortunately, the “Book of the Duffs” shows this Major William Duff is not our ancestor. Another cousin has verified that William of the 26th was not our Ancestor, but also found a mention of a William Duff who was a decommissioned officer of the Central Regiment of the Royal Perthshire Local Militia. That is a possibility we will have to research. 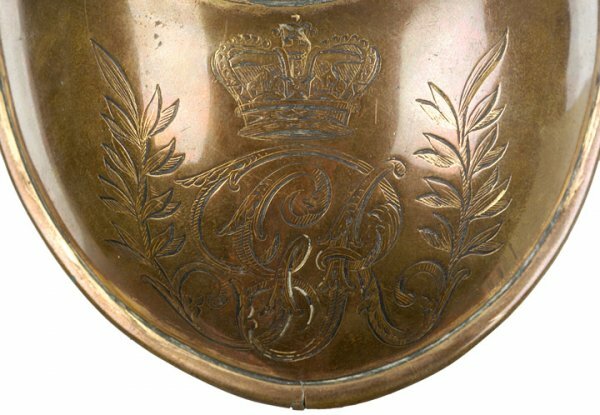 I’d love to find out more about this uniform and what it implies about William Duff’s service in the British military around 1800. If anyone has more details, please feel free to contact me. 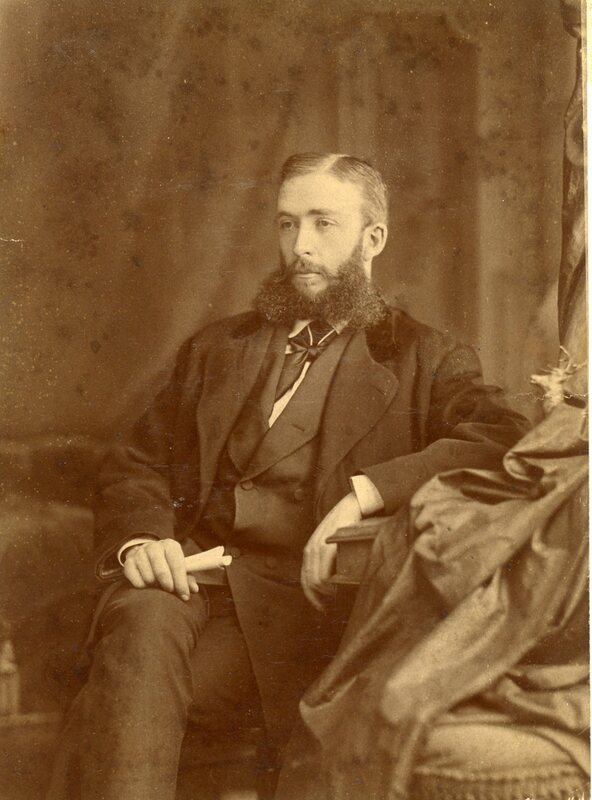 William Menzies Duff was my 2x-great-grand-uncle, the son of Reverend William Duff and Jane Elizabeth Fairbanks. He was born in Lunenburg, Nova Scotia in 1849 (his death record says 12 Apr 1849 and his tombstone says 27 Jan 1849). 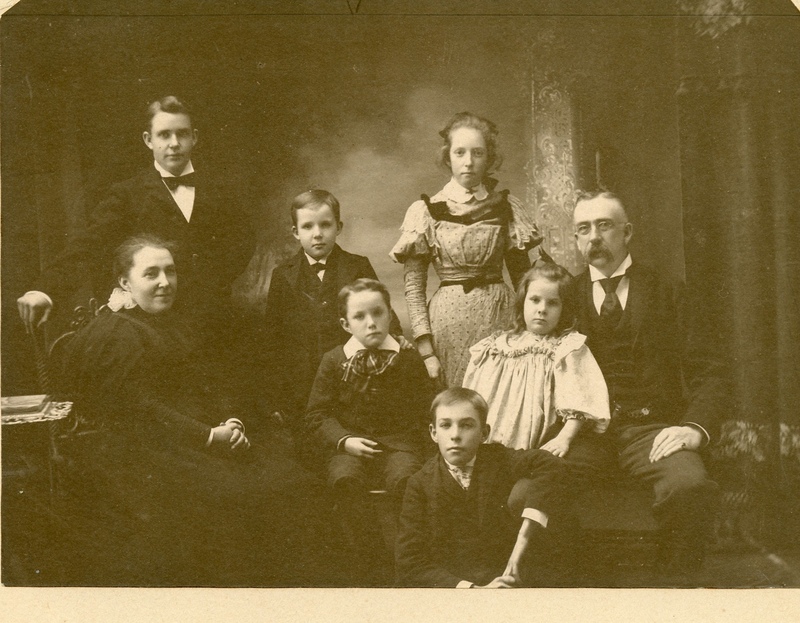 William married Elizabeth Harriet “Bessie” Hunter in Bridgewater, Nova Scotia on 6 Mar 1877, and they had six children: William Fairbanks Duff (1881-1942), Jean Hunter Duff (b 1882), Prescott Blagdon Duff (1884-1959), Robert Hunter Duff (1888-1917) who was killed in WWI, Kenneth Gordon Duff (1890-1967) and Annie Fairbanks Duff (b1892). Family of William Menzies Duff c1989 – Standing back: William, Kenneth, Jean. Seated: Elizabeth Hunter, Robert, Annie, William Menzies Duff. Seated front: Prescott Duff. a Lady friend much admired. Friend of my middle age. Claims Empire, when ere Life had ruled Supreme. But what, for man, is Life? Or what is Death? What mortal can the mystery unfold? Has e’re, or can for man, His riddle solve. Annie Blagdon Fairbanks was the sister of my 3x-great-grandmother Jane Elizabeth Fairbanks. 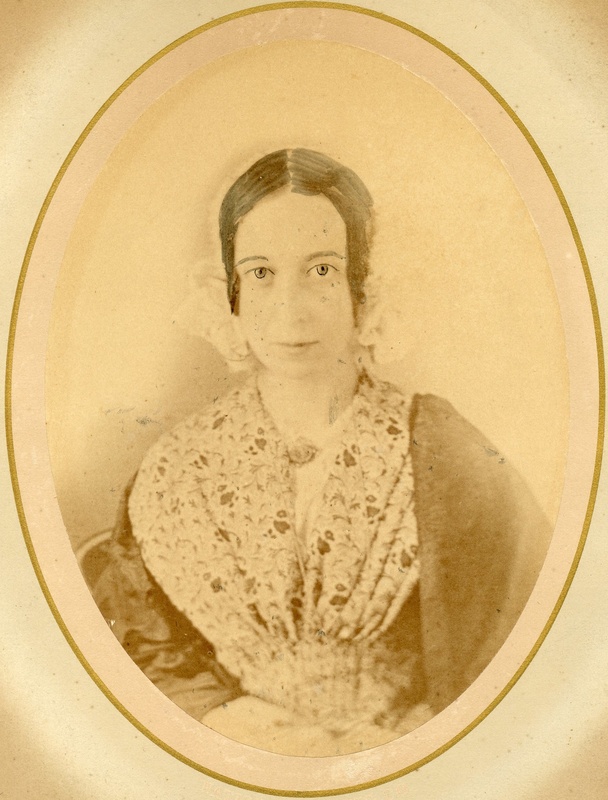 She lived in Dartmouth, Halifax, Nova Scotia, and was never married and never had any children. 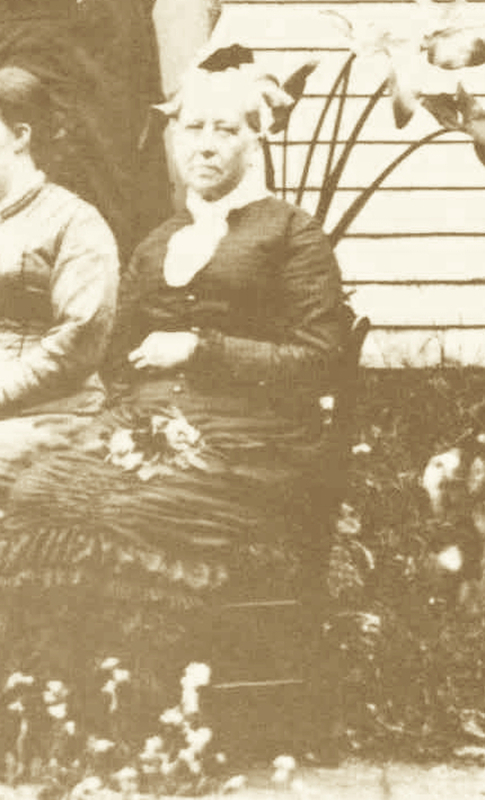 When my grandmother died in 1856 at the age of only 32, Annie moved in with my grandfather and helped him take care of his five surviving children. 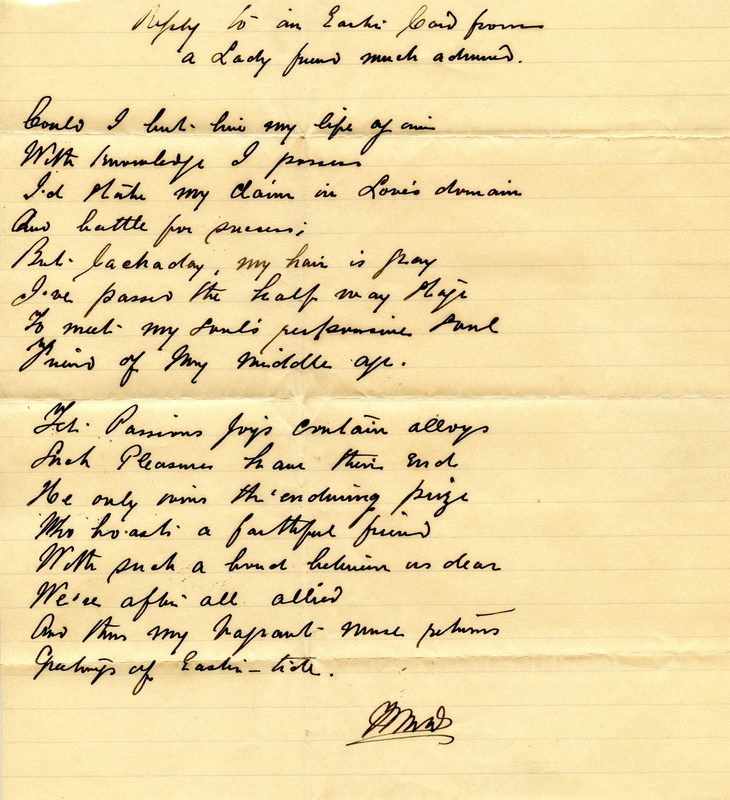 My cousin Catherine has shared with me a signed copy of a poem written by Annie the 25th of November, 1878 on the occasion of the arrival in Halifax of Princess Louise Caroline Alberta and her husband the Marquis of Lorne. 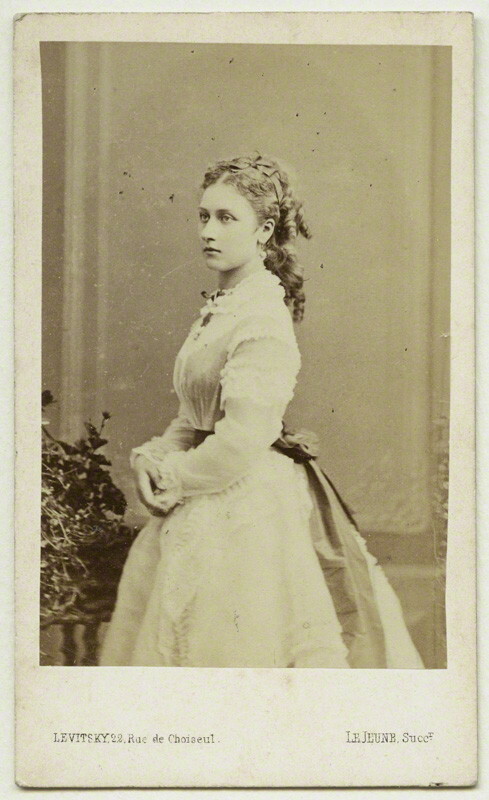 Princess Louise was the daughter of Queen Victoria of Britain and her husband Prince Albert. 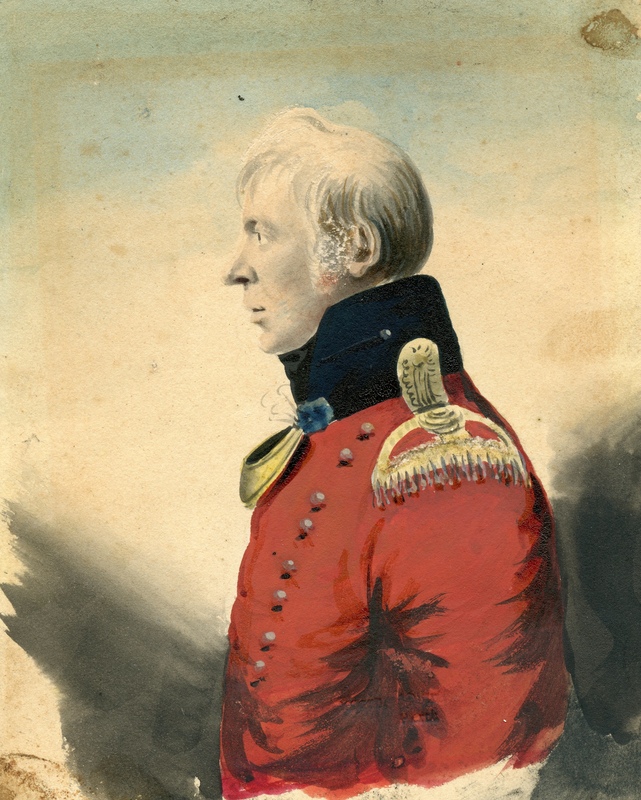 The Marquis had been appointed as Governor General of Canada. 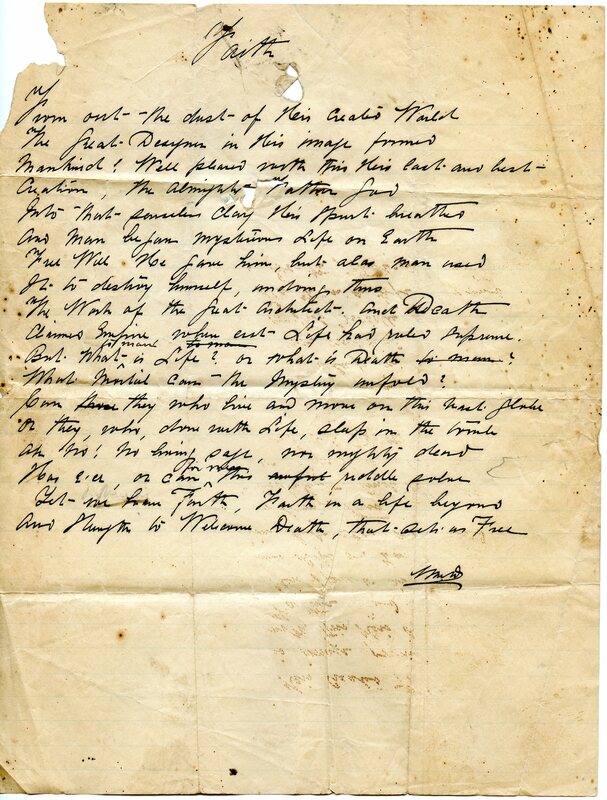 The couple arrived in Halifax on 23 Nov 1878, so the poem was written two days later. More information on the couple’s Canadian years can be found here. Of glory mingled with romance. For Lorne they raise a smiling head. North and South –we come to greet thee! 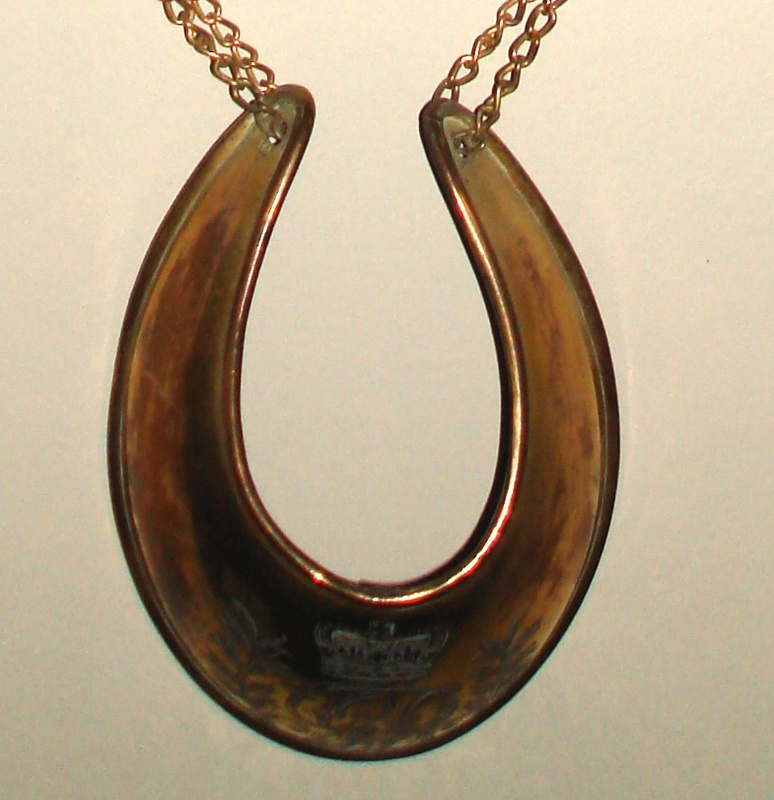 East and West – are here to meet thee! For our sweet lady, and for Lorne. A glad right royal welcome to the Canadian Shore. The Lord of Lorne and our Princess. Dartmouth, 25th Nov., 1878. A. B. F.
This is an index of all the letters written to or from my 3x great-grandmother Jane Elizabeth Fairbanks. 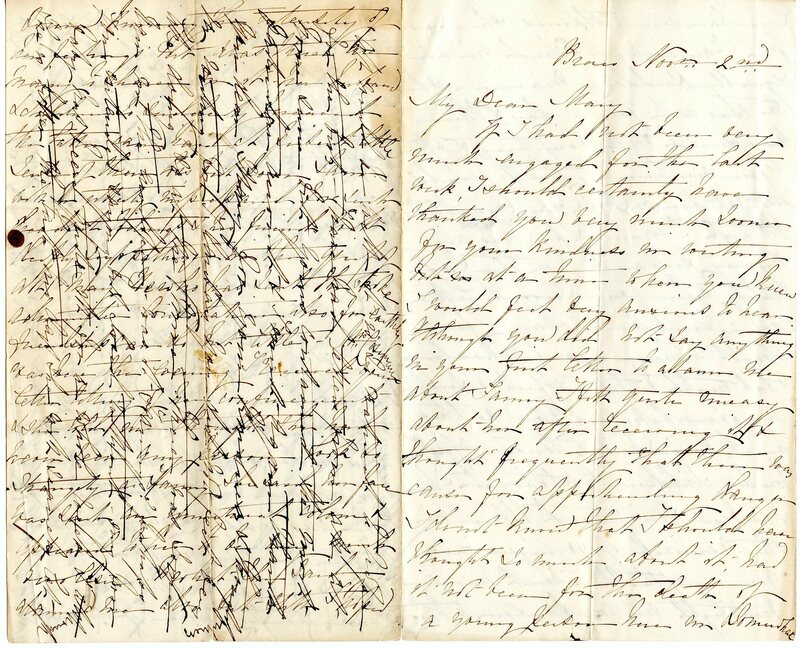 Another letter written from Braco, Lunenburg, Nova Scotia on 2 Nov 1855 by my 3x great-grandmother Jane Elizabeth Fairbanks Duff to her cousin Mary Martha Fairbanks Twining in Halifax. This is probably the saddest letter out of all of them, as Jane and Mary discuss the recent death of their mutual first cousin Frances “Fanny” Allison. There is also some ominous foreshadowing. 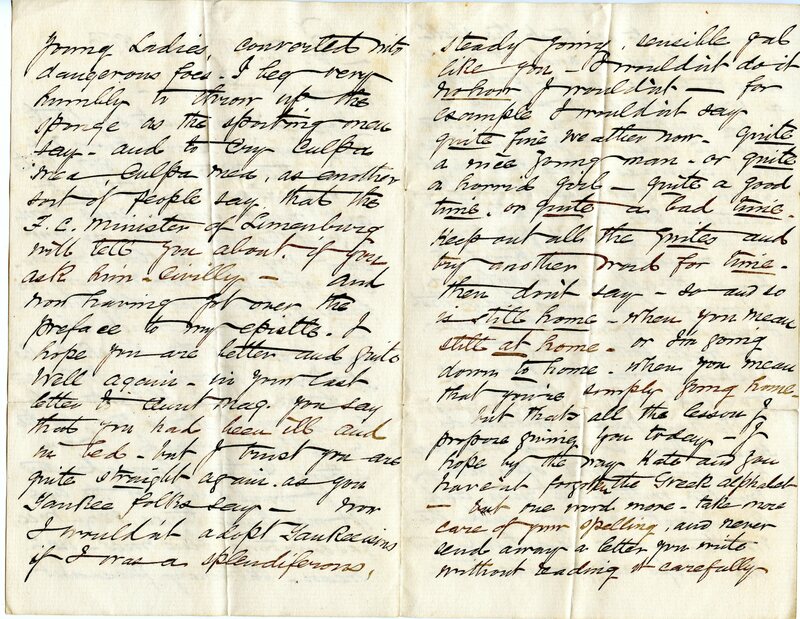 In the letter Jane writes: “It is indeed a solemn warning to us who are in health and strength to be also ready seeing we know neither the day nor the hour when death shall come.” She would die only months later. similar circumstances – she was just Fanny’s age and died in an equally sudden manner, she too was sick for a day and then was seized with vomiting and after your mentioning that I could not get her out of my thoughts. Although I cannot say I was in any way prepared for the sad reality when your second letter came. Poor Aunt Mary. I feared almost to hear again dreading what might be the effect of such an overwhelming blow as this, we all know her intense affection for her children and although she has been sorely tried before this in the removal of younger ones, former afflictions must have been light in comparison to this. any one look at her and for hours will not let me put her out of my arms. She is so very cross. Her teeth have been the cause of it but I hope the worst is over now. We are all tolerable well, but Aunt Margaret and myself have been very busy with house cleaning getting up stores and other arrangements necessary at this season. We shall have more leisure soon, I hope. It did not matter at all about the chemises, just send them when quite convenient. I must not write more today but with much love to Martha and all at Dartmouth. This charming letter comes to me from my cousin Catherine Duff. 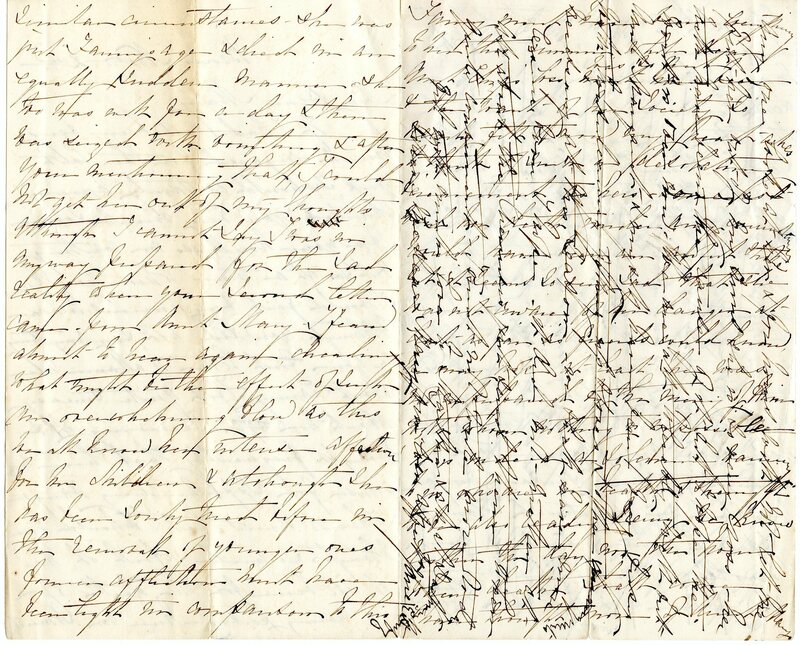 Although it’s only a partial letter, and as a result the closing is missing, there is enough evidence to conclude it was written by James Ritchie of Perth, Scotland to his first cousin Margaret “Peggy” Duff at Braco, Lunenburg, Nova Scotia. 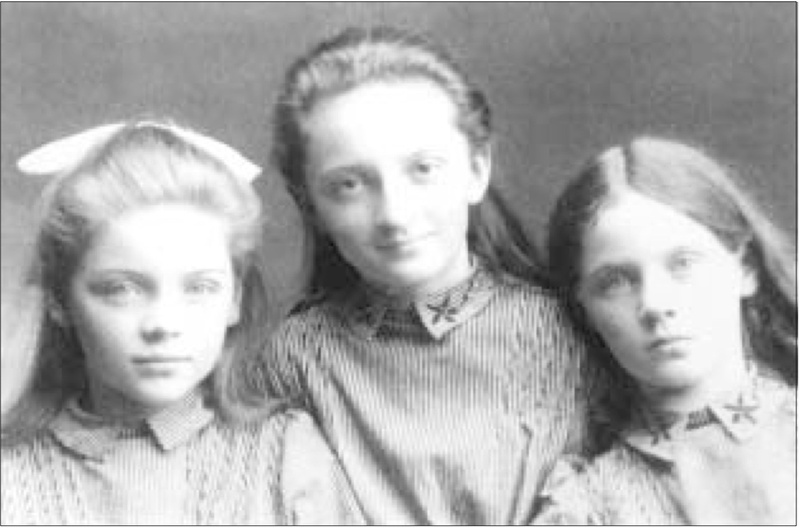 Margaret and her sister Isabella had spent three years in Scotland between 1862 and 1865, and had grown very close with their older cousin James. He wrote in his diary about bringing them to the seaport for their trip back home from Scotland in 1865. 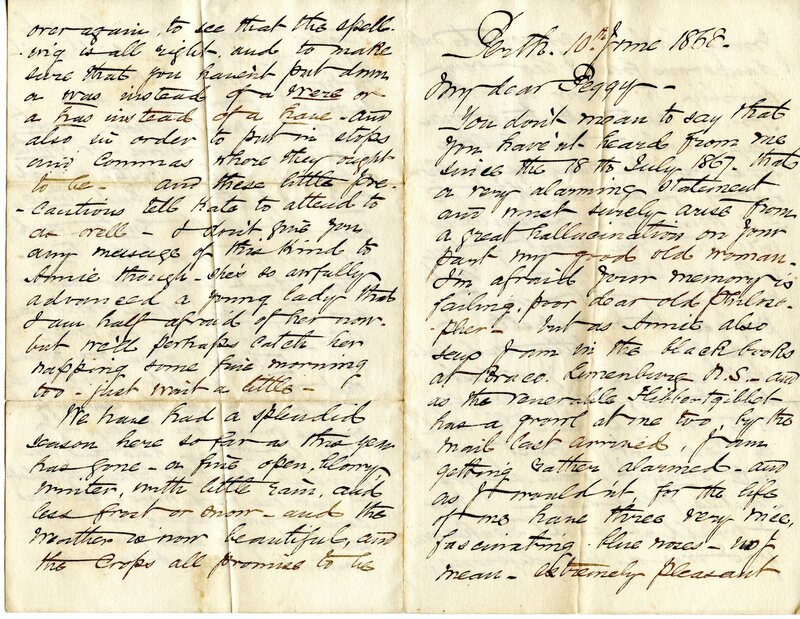 At the time of this letter, Margaret was 15 years old, her sister Annie Duff (my great-great-grandmother) was 21, and their sister Isabella [mentioned in the letter obliquely] was 14. James was 46. This letter is so full of love and dry humor, it very much makes me want to locate more correspondence from James. over again, to see that the spelling is all right, and to make sure that you haven’t put down a “was” instead of a “were” or a “has” instead of a “have” – and also in order to put in stops and commas where they ought to be. And these little precautions tell Kate to attend to as well. I don’t give you any message of this kind to Annie though. She’s so awfully advanced a young lady that I am half afraid of her now. But we’ll perhaps catch her napping some fine morning too. Just wait a little.